It’s another away game so the PRATS are back on the road and returning to Sluff. Tuesday night games limit the choice of pubs we can get to visit before the match. We were down here a few back, but the game got rained off, so the PRATS went on a day long razzle. We must confess we were a bit unsteady on our feet when that day finished. 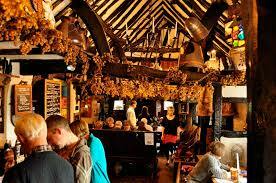 There is the temptation to go back to the White Horse in Hedgerley, a great pub with 8 ales all served by gravity. But perhaps we should try a different pub close by. Here's a list of pubs within 3 miles of the ground and with a Locale filter. If you don’t know what Locale is have a look here. 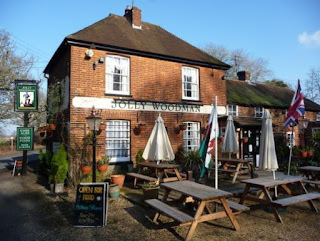 One of the most historical pubs in the area is The Royal Standard of England at Forty Green. An incredible Tudor looking building just under 3 miles away. Good place to take the better half. One or two Midsomer Murders scenes have been filmed here, as was The Theory of Everything. There is also supposed to be a micro-brewery located here, the Britannia Brewery. 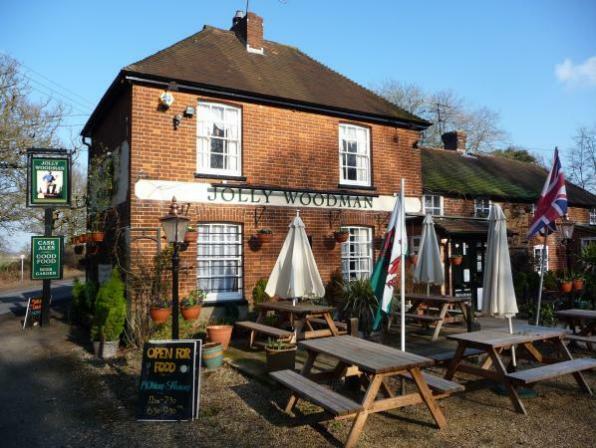 Two pubs closer to the ground are the Jolly Cricketers in Seer Green and the Jolly Woodman in Littleworth Common both less than 5 minutes drive away. Alternatively just pop across the road to Beaconsfield services and visit the Wetherspoons pub The Hope and Champion. On previous visits to this ground they’ve served Rebellion ales in the clubhouse. Will we get a decent result? Who knows, our away form is not good.